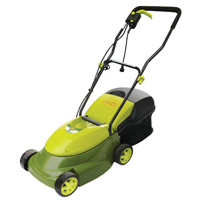 The majority of mowers that you’re offered are in fact rotary mowers. 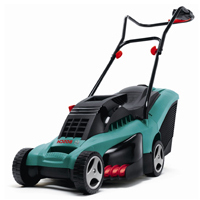 But what makes rotary mowers different to other types? Well it’s the way they cut the grass. They use a rotary blade which spins at high speed parallel to the ground. 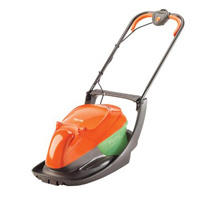 This method of cutting isn’t as healthy for your grass as a cylinder blade, as it essentially hacks off the excess grass rather than slicing it. If you’re concerned by that, don’t be as they still provide a very high standard finish and are ideal for frequently used family lawns. 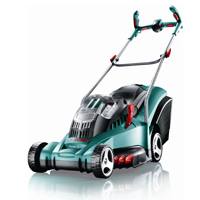 Affordable – Rotary mowers are much more affordable for manufacturers to produce as design wise they are a lot simpler. This means that you can purchase them at lower costs and that they are more widely available. 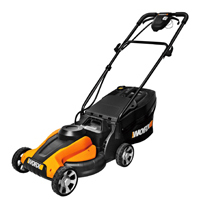 Effective Cutting – Rotary blades tend to cope very well with longer grass and weeds, especially in comparison to cylinder blades. 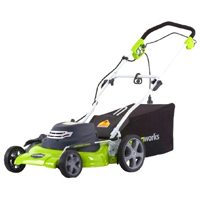 All Condition performer – Whether you’ve got a lawn with slopes, bumps or any type of irregular gradient, it really doesn’t matter because a rotary mower will cope with it all.